This is an original production cel from the Walt Disney Studios production of Robin Hood (1973). 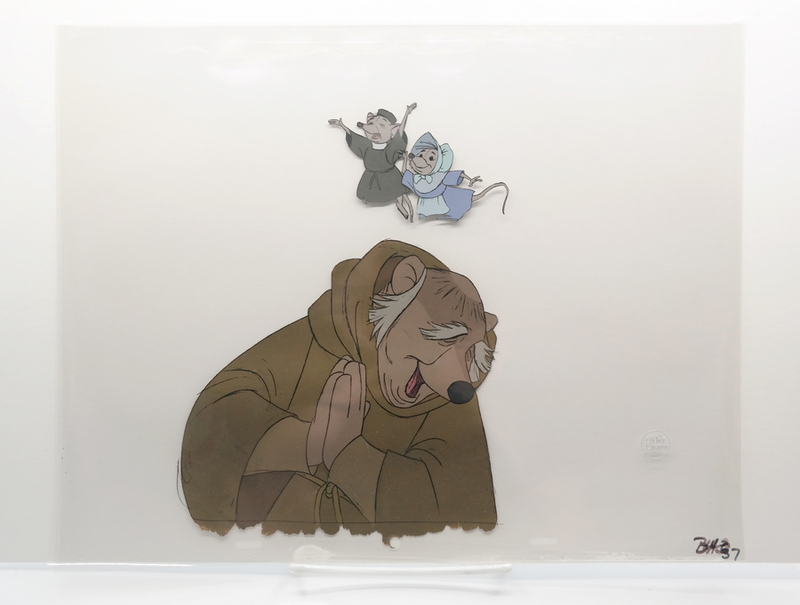 This hand-painted cel features the humble Friar Tuck with his trusted friends Little Sister and Sexton Mouse, and was created at the studio and used during the production of the film, representing an actual frame of animation that was photographed and appears in the film. 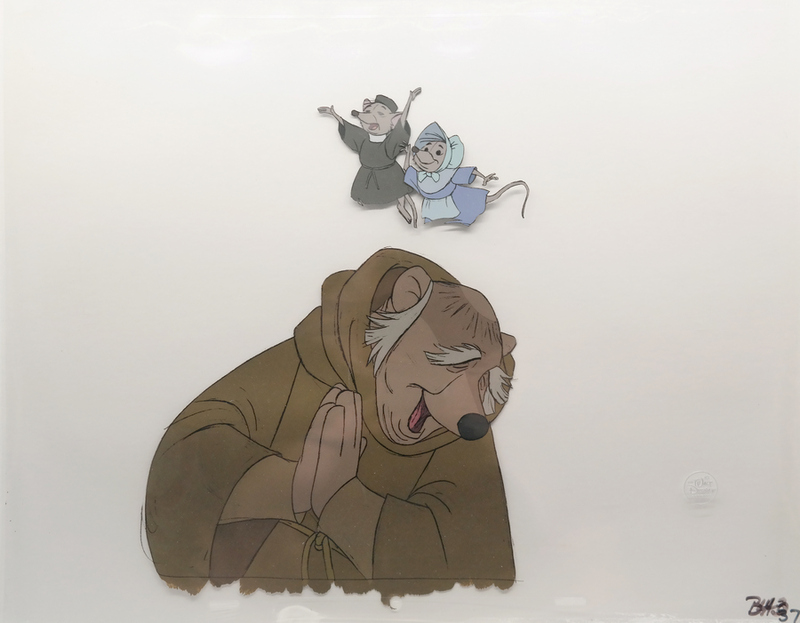 The two cels are from separate scenes, with the mice coming from the scene where they cheer for Robin as he has a romantic evening with Maid Marian, and Friar Tuck coming from the scene where the mice graciously give him the only farthing they have. The overall measurements of the piece are 12.5" x 16" and the image itself measures 10" x 7.5". The cel is in very good condition.